If I have to pick just one author then it’s Cathi Unsworth because she is a writer I always recommend to friends and one who I think should be better known. Her novels are set in the recent past and they have a dark and dirty glamour that is utterly compelling. 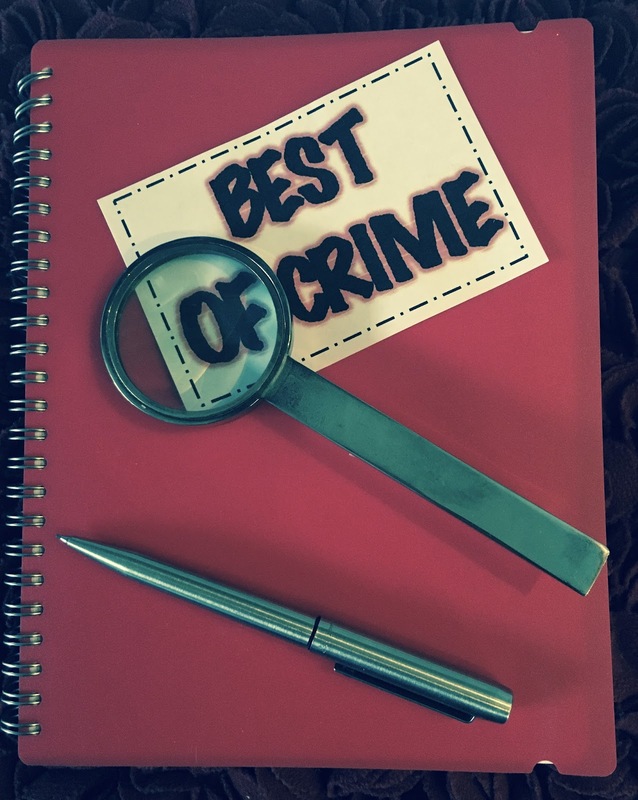 Along with the kind of sharp writing and twisty plots that characterize the best crime novels they also have that elusive quality – real heart. I’m fascinated by how our memories function, or fail to function, and all my books so far have featured characters struggling with some aspect of memory. So a film that really resonates with me is Memento. It’s a brilliantly constructed story that takes a fairly standard idea – a protagonist trying to track down his wife’s killer – and turns it into something incredibly rich and complex. The twist is that the hero suffers from what’s called anterograde amnesia brought on by the trauma of the attack. He is unable to form new memories and suffers short-term memory loss every few minutes. It’s a film that plays with the viewer’s own perceptions of how time works and I’d recommend watching it on DVD because it rewards multiple viewings. I was completely hooked by Happy Valley. It makes a refreshing change to have a uniformed police officer, who is also a woman, at the centre of a crime drama. Instead of a crumpled male loner, Sarah Lancashire is totally convincing as the matriarch of an extended family and the moral heart of her local community. The series has everything: a terrifying villain, heartbreaking tragedy and a sprinkling of black humour. My favourite Christie novel is the standalone mystery written in the 1960s: Endless Night. In order not to give the game away I’ll just say that the killer in the book is one I find very intriguing. C.J. Sansom’s Matthew Shardlake is a lawyer practising during the reign of Henry V111. Like so many great fictional detectives he is an outsider. A hunchback at a time when such a disability is regarded with suspicion and disgust, Matthew bears his frequent humiliations with admirable fortitude always trying to do his best for his ordinary clients at the same time as attempting, usually unsuccessfully, to avoid getting tangled up with the royals and their entourage. Like many real murderers from her era, Agatha Christie uses poison very creatively. In Dumb Witness the victim is killed by phosphorus and her dying breath appears as a cloud of vapour that the witnesses imagine is her soul escaping from her body. Mark Billingham’s villain in Sleepyhead doesn’t want to kill his victims, but to render them helpless forever. After some false starts, where the women die, he succeeds with Alison and his attack leaves her with locked-in syndrome. As readers we are allowed into her thoughts and discover that she is a vibrant and courageous girl. Only able to blink, she nevertheless helps detective Tom Thorne to identify her attacker. But she has no hope of recovery and realizes that the only way she can outwit the villain is to frustrate his desire for her to stay alive. The final pages are incredibly moving. A blog I always find inspiring is Lizzy Kremer’s Publishing For Humans. It appears on occasional Mondays and is a series of beautifully written musings on writing from a successful literary agent (not my agent by the way). Monotonous but satisfying chores are perfect for solving plotting problems providing you don’t actively think about them and instead let solutions float up from the unconscious. I find ironing is effective in cold weather and some mindless gardening, like weeding or grass cutting in the summer. Endless mugs of Earl Grey tea and the occasional slice of toast with crunchy peanut butter. Chris Curran was born in London but now lives in St Leonards-on-Sea near Hastings, on the south coast of England, in a house groaning with books. She left school at sixteen to work in the local library – her dream job then and now – and spent an idyllic few months reading her way around the shelves. Reluctantly returning to full-time education, she gained her degree from Sussex University. Since then she has worked as an actress, script writer, copy editor and teacher, all the time looking forward to the day when she would see her own books gracing those library shelves. 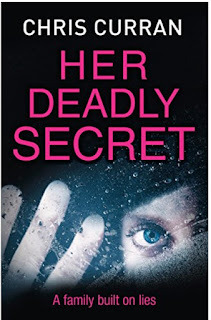 Her Deadly Secret was published by Killer Reads on 21 July 2017. Very interesting read, thanks so much for hosting Chris. I wish her much success in the future.